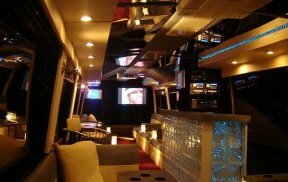 Party Bus Rental Directory | Find Party Buses in Your City With PartyBus.info! 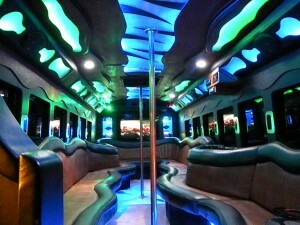 Find Party Bus Rentals With PartyBus.info! Our party bus rental directory contains hundreds of different vehicles from all over the world. If you are looking to rent a party bus for your special occasion; be it a bachelor or bachelorette party, wedding, corporate event or night on the town - you have come to the right place! You can compare all of the top party buses in your city here in one place. We feature detailed descriptions, photos, video, contact information, customer comments and more! You can even look at the availability for certain listings to see if they are available for the date you need them for. 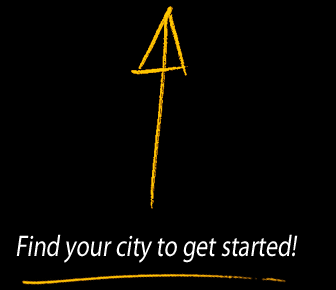 Please choose your city or state by using the above navigation menu or search box. You will then see a list of all of the party bus rental options for your city where you can compare prices, features, photos and even check to see what dates certain vehicles are currently available to rent. We like to think of party buses as the larger, more fun and more extravagant big brother of the limousine. Most of these limo buses (as they are also called) are typically a regular bus that has been gutted and turned into a super sized limo. No two are exactly the same and they generally hold anywhere from 10 to up to 80+ passengers! The goal of the party bus is to turn what would normally be a typical boring commute from point A to point B into an unforgettable and fun trip! What makes a party bus more fun and more extravagant than a regular limo? We think the main reason is that because of the sheer size you are able to fit more people on board, which always equals more fun! Another reason is that there is more room to include options and amenities that you wouldn’t be able to fit into a normal sized limo or even some of the larger Hummer/SUV limos. The average listing that you’ll find on our website comes equipped with comfortable lounge seating (usually leather), a bathroom, a bar area with a fridge, and an impressive sound system with MP3/iPod capabilities. You’ll also often find televisions, fancy lighting, dance floors and even dancing poles. We’ve even seen a couple that feature special VIP rooms in case you want to get away from the party or make some guests feel extra special. If you are interested in reading more about what kind of cool features are on some of these unique vehicles all around the world, feel free to browse around our site. You’ll find hundreds of different vehicles from countries all around the world and you can see pictures of all of them! This way of traveling can really can add a new level of fun and excitement to any type of event. They are most often rented out for things such as weddings, bachelor parties, bachelorette parties, proms, corporate events, concerts, sporting events and pub crawls. But the sky is the limit and we’re sure you can come up with many more excuses for renting one. Whatever the reason, we hope we can help you find the best possible party bus rental for your needs and that you have a fun and memorable time! It is strongly advisable to always do your homework before you commit to hiring any company. You will need to ensure that the company you are working with has the appropriate licensing and insurance to operate in your area. In most countries the chauffeur may need to have special licensing that is different from a regular automobile in order to legally drive a party bus. In addition to this, most countries require a minimum level of insurance depending on the passenger capacity of the vehicle. Please note that these regulations may only be required if the vehicle is being driven on a public road or highway and may differ if the vehicle is stationary. 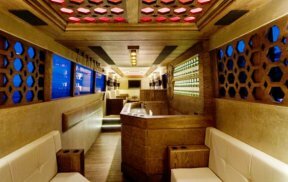 Find a Party Bus in your town! 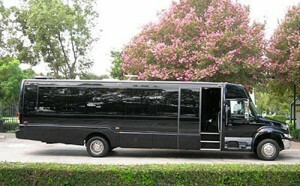 This featured vehicle is simply called Bus 2 and is owned by a company called Ultimate Party Bus in Miami. It is a larger vehicle with room for up to 40 people and has a spacious interior with room for a ton of great amenities including a gorgeous glass bar area. This featured listing is The Viper which operates out of Auckland, New Zealand. This vehicle was designed with corporate events or longer trips in mind but can be used for any reason. It is full of class and style throughout and comes with your own personal host, a DJ both and a licensed bar.